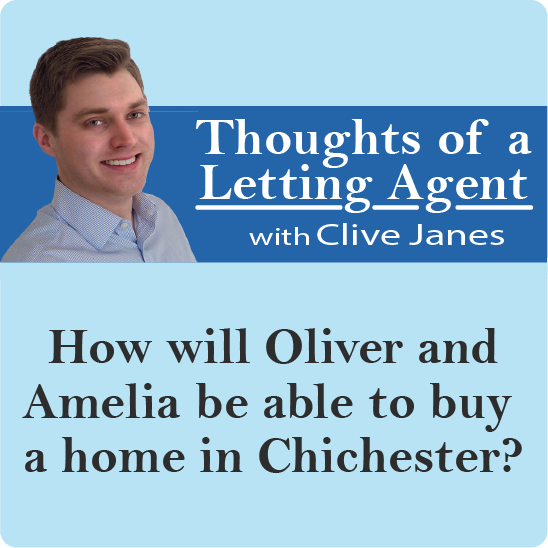 Chichester Property News: How will Oliver and Amelia be able to buy a home in Chichester? If you’re wondering who Oliver and Amelia are, well they were the most popular baby names here in Chichester in 2017 - with 14 baby boys named Oliver and 12 baby girls named Amelia. 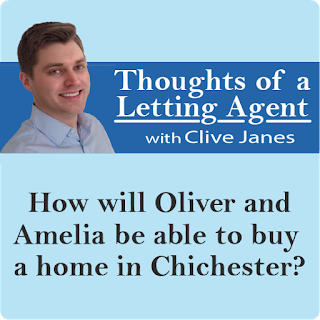 Aside from the fact Chichester’s new parents didn’t stray far from convention (Oliver was also the UK’s most popular boys name, whilst Amelia was second to Olivia for the girls) they may be wondering how their new-borns will be able to buy a home in Chichester when the time comes. There’s two major sticking points when it comes to this - availability and affordability. I’m often asked who’s going to buy all the new homes that are due to be built in and around Chichester; 300 in Westhampnett, 500 in Shopwhyke, 1,000 in Tangmere and 1,600 at Whitehouse Farm, to name just a few developments. Well, with over 1,000 births being registered within Chichester every year, there are a lot of new humans who will one day want a home of their own. With life expectancy increasing too, the overall population is rapidly growing - an additional 734 people were recorded as living in the Chichester district each year on average between 2001 and 2011. Meanwhile, despite some assuming the opposite due to the ongoing developments, there have been far fewer homes than this built in the area. Already we can see the effects of this on the property market, with a lower amount of stock available and fewer homes being sold in Chichester. Unfortunately for the youngsters of today, this has helped buoy property prices, which remain stubbornly high here in Chichester. 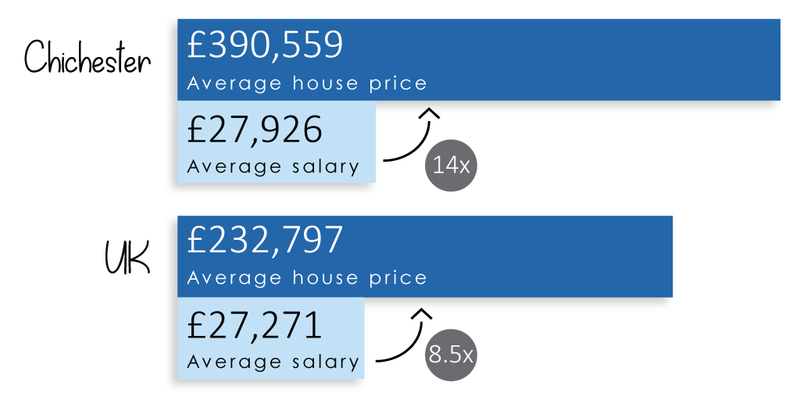 I’ve written before that with the average property price in Chichester of £390,559 compared to the average local salary (£27,926), house prices (at 14 times local income) are amongst the most expensive in the country. Even those who earn enough to afford a home will still need to come up with the money for the deposit (around 10%) and other costs associated with buying their own home. Clearly this is restricting home ownership in Chichester, particularly amongst younger people. It is why I believe demand for rental property in Chichester is likely to remain high and landlords therefore have a duty to serve the community with well-presented, safe, homes. Unless significant numbers of new homes are built or house prices or lending criteria softens this situation is unlikely to change. Shockingly whilst researching the above I found that only four babies in the whole of the UK were given the rather fantastic name ‘Clive’ in 2017. If one of these rare breeds can help you with anything property-related, feel free to get in touch.